I am also active member of an open-source community. Try to check out my projects, to see my coding style, committing and feature sets. Also feel free to use them in your own products as commerial usage is allowed. My contributions have been oficially approved by BlackBerry and made the foundation of the Gold 3.0 release. Check the announcement and download it. However, this is not the end, use the Visual Studio Gallery to install my own build and be always up-to-date with most recent version as the development is still ongoing. 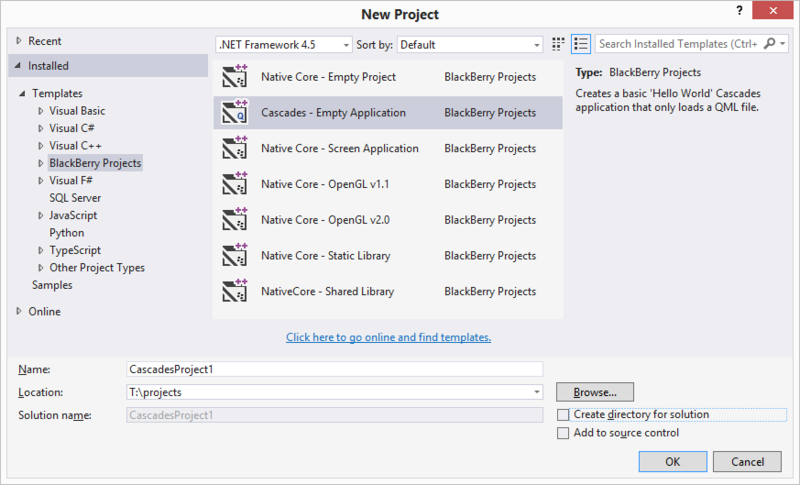 It is an extension for Visual Studio providing all you need to do native and Cascades development that targets BlackBerry PlayBook and latest BB10 devices. It was designed to be a replacement for BlackBerry's original IDE - Momentics. That's why it helps developers in all kinds of activities - starting from registration, through generation of all required certificates and tokens, deploying them on devices, later on application debugging and finishing with creation of sell-ready applications via BlackBerry AppWorld. 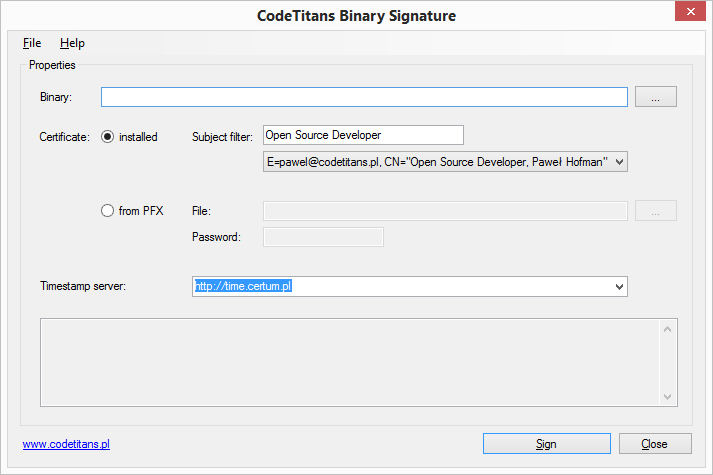 Signature is the utility that helps digitally sign applications (binaries) on Windows. Library providing .NET 4.5 ZipArchive API (System.IO.Compression) for older desktop .NET frameworks. It uses build-in Win32 Shell API via reflection allowing .NET 2.0 applications to manipulate ZIP containers without any other dependencies. There are no 3rd party libraries, nor COM TypeLibraries embedded. It's as pure as few code files (using Windows internal components) that can be dropped directly into your project. It is a set of C# libraries supporting all known versions of .NET (desktop and mobile) simplifying development in areas like: JSON, networking, multi-platform extensions and others. There is a mirror on GitHub also. This project received 3rd Place Award, granted by Microsoft Openness Ideas in June 2014 in Completed Projects category. Some stories-behind and interview can be found here: part 1 and part 2. It is an addin to Visual Studio 2005 and 2008, providing lots of simple refactorings and automating common development tasks. 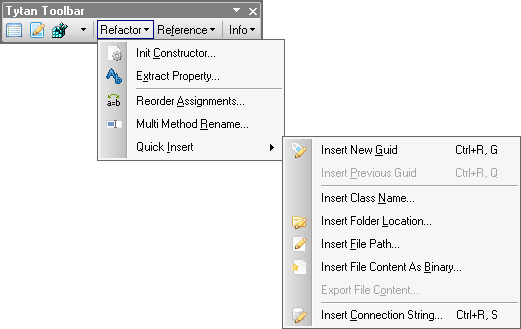 Additionally exposes editors for environment controls, debug-logs and system registry. This project received 1st Place Award, granted by Zine bloggers in September 2008 as the Best Polish Open-Source Project of the Year. Some extra relation here (PL). useful especially during tests of modules with configuration based on system variables, eliminating the need of the Visual Studio (for Software Testers) relaunch to get them updated! no more need to load the whole list of assemblies on the machine (as the standard dialog does)!